Your source for vegetable, herb and flower seeds popular in the Indian subcontinent. This is the new Hybrid Drumstick tree PKM1. The pods and leaves are used in Indian dishes such as sambar and avial. In most of the U.S., it can be raised as a container plant, and will start producing pods by the eleventh month. In Florida, it can be grown outdoors south of Fort Myers as well as in Arizona and Southern California.. Nutritionally, the leaves are rich in Vitamin C , Vitamin A, calcium, protein and potassium. 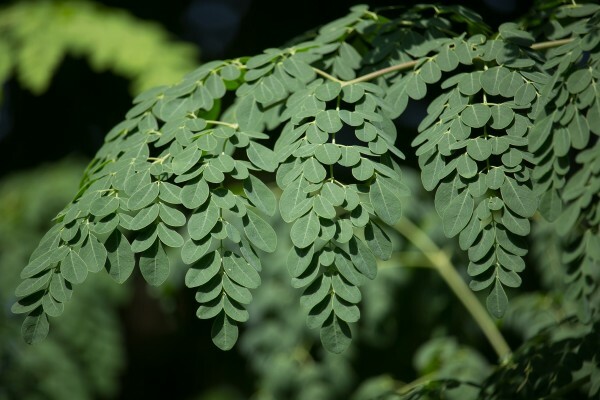 The bark of the tree has been used to treat abdominal discomfort, boils, cold, rheumatism and scorpion bites, while the leaves have been found effective for the treatment of hypertension and conjunctivitis. 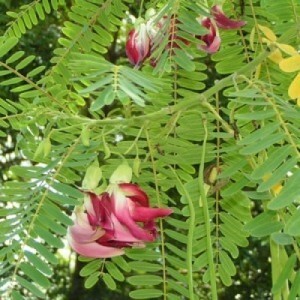 Sesbania grandiflora is a small erect, fast-growing, and sparsely branched tree that reaches 32 feet in height. The flowers, young leaves and tender pods of the white flowered hummingbird tree are edible and are sold in local ethnic markets. All parts of the tree are also utilized for medicine in Southeastern Asia and India including preparations derived from the roots, bark, gum, leaves, flowers, and fruit. The tree thrives under full exposure to sunshine and is extremely frost sensitive. In Tamil the tree is called Kathurumurunga or akatthi. In Hindi gaach-munga, in Telugu avisi, in Bengali Bokful, and Hadga Flower in Marathi. Please note that Humming bird tree seeds need to be scarified (scrape seed on sand paper till you can barely seed the inside layer) and soak for 24 hours before sowing.